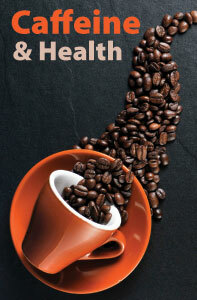 Caffeine is the most commonly used drug in the world – it is found in everything from coffee, tea, and soda, to OTC pain relievers, chocolate, and now a whole host of food and beverage products branded with some form of the word “energy.” But jumping to the conclusion that caffeine use is problematic and requires treatment may be premature. Part of the problem is that caffeine is a socially acceptable and widely consumed drug that is well integrated into our customs and routines. So well so that manufacturers are not required to label caffeine amounts and some products such as energy drinks do not have regulated limits on caffeine. So not only do we frequently not know how much caffeine we are ingesting, we are also unclear as to its potential negative effects. On the other side of the equation, we do know that caffeine can have positive effects. It acts as a stimulant, thereby increasing athletic performance and mental alertness, and possibly aiding weight loss. So what are clinicians to believe? And what are they to advise their clients? That answer often depends on the client. Some diagnoses are better helped by caffeine use while others seem to be negatively affected by the use of caffeine. 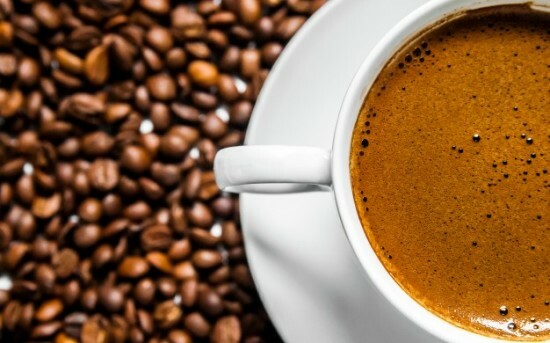 Reviewing the most recent research on caffeine will help clinicians better understand just which diagnoses respond more positively to caffeine use and which ones could potentially be harmed by an elevated caffeine intake. Caffeine is a rapidly absorbed organic compound that acts as a stimulant in the human body. The average amount of caffeine consumed in the US is approximately 300 mg per person per day – the equivalent to between two and four cups of coffee – with coffee accounting for about three-fourths of the caffeine that is consumed in the American diet. This is considered to be a moderate caffeine intake, which, according to many studies, can promote a variety of health benefits. A large component of the experience of anxiety is based in bodily experiences. The physiological sensations of a racing heart, sweaty palms, muscle tension and shortness of breath (among others) can be profoundly debilitating. I recently spoke about the underpinning skill of awareness in managing anxiety and also identified anxiety management strategies. While bodily techniques were identified, the focus was on thought-based strategies. This article focuses on two core body-based techniques for coping with anxiety. Deep breathing and progressive relaxation techniques are both body-based skills that help to control anxiety levels by evoking the body’s relaxation response, a state of restfulness that is the opposite of the anxiety response. Regularly practicing these techniques will build your physical and emotional resilience, heal your body, and boost your overall feelings of joy and contentment. The body’s natural relaxation response is a powerful antidote to anxiety and serves a protective function by teaching you how to stay calm and collected when encountering anxiety provoking events. Make yourself comfortable and place one hand on your chest and the other on your stomach. Breathe in through your nose and feel the hand on your stomach rise. The hand on your chest should move very little. Continue to breathe in through your nose and out through your mouth. Try to inhale sufficiently so that your lower abdomen rises and falls. Progressive muscle relaxation is another effective and widely used strategy for anxiety relief. It involves a two-step process in which you systematically tense and relax different muscle groups in the body. Loosen your clothing and get into a comfortable position. Take a few minutes to focus on your breathing, breathing in through your nose and out in slow, deep breaths through your mouth. When feeling more relaxed, focus your attention on your feet. Become aware of the sensations in your feet. Tighten and relax the muscles in your feet, repeating this three times. Continue breathing deeply and slowly. Now shift your attention to your calves, following the same sequence of muscle tension and release. Continue to breathe in and out while moving slowly up through your body – thighs, abdomen, back, neck, shoulders and face – contracting and releasing the muscle groups as you proceed. Take the time to practice these techniques. The more you practice the more effective you will become, and the more accustomed your body will be to the sensation of relaxation as opposed to anxiety. Initially practice these techniques outside of situations or spaces where you are feeling high levels of anxiety. This will allow you to familiarize yourself with the sensations of relaxation without having to counter anxiety. Once you are familiar with this stage, you can then start to try implementing these techniques in more actively coping with anxiety. By giving your body the tools to cope with anxiety, you create an alternative possibility of replacing anxiety with a sense of control, calm and relaxation. Dr. Stacey Leibowitz-Levy is a highly-experienced psychologist with a Master’s Degree in Clinical Psychology and a PhD in the area of stress and its relation to goals and emotion. Dr. Stacey has wide ranging skills and expertise in the areas of trauma, complex trauma, anxiety, stress and adjustment issues. Stacey enjoys spending time with her husband and children, being outdoors and doing yoga. I’m not much use behind the keyboard until I’ve had my morning cup of coffee. And I’m far from the only American who needs a little java jolt to get their day going. If a study published in this month’s Journal of Nutrition is any indication, the caffeine in coffee might offer not just a momentary mental boost but also longer-term effects on thinking skills. Having an alcoholic drink a day might also benefit our mental performance, but the line between just right and too much is uncertain. An even better strategy for maintaining memory and thinking skills with age may be to eat a healthy diet. In the study, researchers from the National Institute on Aging compared scores on various tests of thinking skills and memory with caffeine, alcohol, and nutrient intake in 727 men and women taking part in the Baltimore Longitudinal Study of Aging. Over all, participants who ranked high on the healthy diet scale did better on 10 tests of memory than those with lower diet scores. The same held true for those who took in more caffeine. The effects for moderate alcohol drinking were mixed. The reason you get a quick wakeup call after chugging a mug of coffee has to do with the way caffeine tricks your brain. Not only is caffeine a brain stimulant, but it also blocks receptors for a chemical called adenosine, which normally prevents the release of excitatory brain chemicals. With adenosine out of the way, these brain-sparking chemicals can flow more freely—giving you a surge of energy and potentially improving mental performance and slowing age-related mental decline. The Journal of Nutrition study isn’t the last word on the subject of caffeine and memory. It showed that people—particularly those who were ages 70 and over—who took in more caffeine scored better on tests of mental function, but not on memory tests or other measures of mental ability. 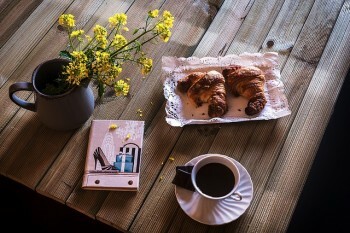 Some previous studies have shown improved long-term memory performance and thinking ability in regular caffeine consumers; others haven’t shown any connection. Drink to your cognitive health? When it comes to alcohol, its effects on memory and thinking skills may depend on how they are measured and how much you’re drinking. In this study, moderate alcohol use appeared to improve working memory and attention—especially in women and in those ages 70 and over. But those benefits could come at the expense of declines in skills like executive function and global thinking. Excessive drinking, defined as more than two drinks a day for men or more than one a day for women, is known to harm the brain. Over time, excessive drinking can cause everything from short-term memory lapses to more permanent problems. Any benefits from alcohol seen in theJournal of Nutrition study came from moderate drinking. The study also looked at the connection between diet and mental performance. People who ate foods with plenty of healthful nutrients had better attention and memory than participant with poorer diets. A healthy diet was also linked to good thinking skills in women and participants under age 70. In particular, foods that are part of the Mediterranean diet—fruits, vegetables, nuts, fish, olive oil, and whole grains—show promise for preserving memory and preventing Alzheimer’s and other forms of dementia. This study is just one of many linking healthy eating habits with maintaining memory and thinking skills into old age. Continuing a healthy diet, or switching to one, makes sense on many levels. It probably is good for your brain, and it’s definitely good for your heart, bones, muscles, and overall health. As for caffeine? There’s no evidence yet that you need to start drinking coffee or tea to protect your brain. If you like drinking caffeinated beverages, enjoy them. But keep in mind that adding lots of sugar or cream, or getting caffeine via sugar-sweetened soda, may counter any benefits. Click Here to Learn More About This New Online CE Course!